Auxo's Compounded Interest Strategy truly is a "Set it up, and forget it" type investment. It is geared towards individuals who are looking for a monthly cash flow with a long term, secure investment that grows exponentially through the power of compounded interest. We offer unique return rates to our investors at a 6% amortized over 30 years, with a blended payment of interest and principal paid every month. 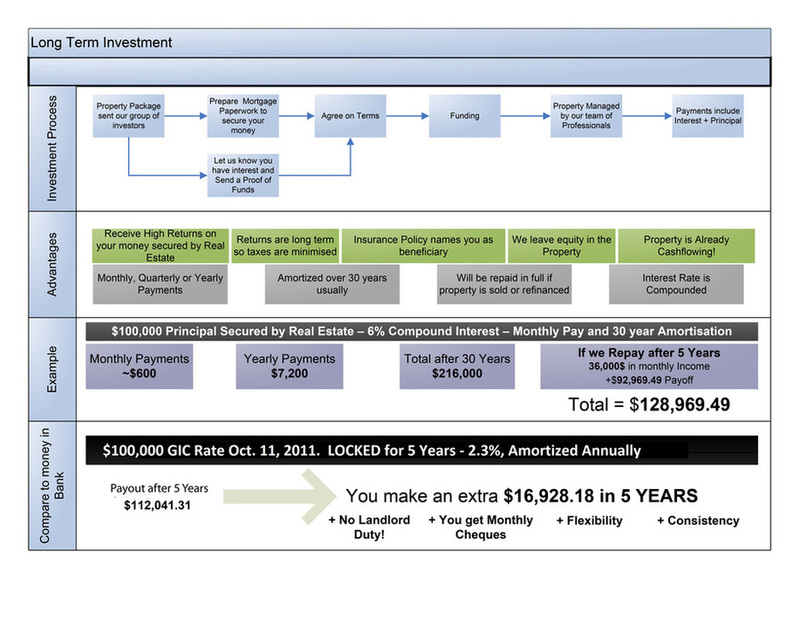 This program is identical to how banks operate when they provide mortgages. These properties are fully renovated and rented out, this is a very safe investment. Your investment is secured against equity in the property at no more than 80% Loan to Value. The term available for this type of investment is generally 5 years.